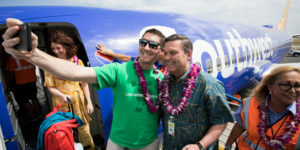 This year we will be each be flying the better part of 100,00 miles from our base in Hawaii. Not long ago, we had some of the weirdest travel experiences ever when 1) our luggage didn’t arrive with us in either direction and 2) we missed our outbound connections, arriving a day late due to missed connections. These were the result of both mechanical and medical emergencies on our flights that also resulted in our being rerouted. On that eventful trip which you can read about here, clothes and other necessities had to be bought while away from home, which used up valuable vacation time. On returning from vacation, we also had to file a complicated trip insurance claim in order to get our money back for the extra expenses incurred. Looking at the bright side, in the end the luggage was, in both cases, located and delivered. Going forward, however, we’re looking to fly with carry-on baggage only, whenever possible. And on that subject, we’ve been updating our thinking on carry-on’s, in part because the airlines have been planning to “standardize” the size limit. That of course means being able to bring less with us onto the plane. IATA suggested an “optimal” size of 21.5 x 13.5 x 7.5 inches, which is smaller than the 22 x 14 x 9 inches most airlines now allow. So far this still hasn’t been implemented, largely due to the bad press which the initiative received. 1. Leave the extras at home. Remember there’s nothing much you can’t buy here if you need it, including food and medications. And most of it won’t cost any more than on the mainland. So don’t loose sleep if you should forget something. But thinking of trip planning – be sure to include Hawaii’s most acclaimed travel guide series (in Kindle or print), Hawaii Revealed. Available for all the major islands, don’t leave home without it. 2. Travel clothes that make sense. Pack things that don’t need a lot of care. One durable product line we still love through the years, and have found works well is t-shirts and travel clothes from Ex Officio. They wash in the sink, dry in a few hours and always look good. Also remember that if you’re heading up to higher elevations in the islands, be prepared. We’ve had a range of food issues on airplanes. First, it simply isn’t good in most cases. Second, we had a recent issue where a flight was delayed and there became a food safety issue. As a result the airline threw out all of the food and, you guessed it. We had only whatever we brought with us! 4. Bring other helpful items for the trip. To make the trip to Hawaii more pleasant, consider bringing your own entertainment. On another recent flights, the on board entertainment system failed entirely and there was nothing except what we brought. As in downloaded books, TV shows and movies. For that matter, bring a battery pack for your phone, as we’ve had multiple airline experiences with inoperative or under powered USB/power ports. We like the ones from Anker, since they are small, light for their capacity and hold up. Keep your printed travel documents organized and dry in reusable packing envelopes. What happens if your phone goes dead or is lost and all your info is contained therein. 6. Stay healthy and comfortable on-board. To avoid getting sick like we have, some people are wearing these highly recommended germ masks. We always clean everything in sight on the plane with Clorox disinfecting wipes. We aren’t alone with those and see others doing the same thing. In order to stay comfortable, we don’t leave home without these versatile travel cushions. We swear they work – no joke. Either to sit on or to use as a back support or pillow. They started rolled up and small in carry-on, then expand. We’ve used them for years and they are still holding up. If you haven’t noticed, the new thinner airline seats don’t have much cushioning in them. What about a travel blanket and travel pillow? Some airlines just don’t offer them. With those that do, we just don’t know how cleaning them is managed. For packing food, we use reusable and collapsible silicone food containers and water bottles. 7. Unlined waterproof jacket is very helpful for rain and wind protection without making you steam. This also serves as something warm for the plane and nights. Also useful is a lightweight sweatshirt or sweater. 8. Hiking boots are great and can be worn to lighten your baggage. When we’re hiking here in Hawaii, we see a lot of people with totally the wrong shoes. Like hiking in either flip flops or high heals. Seriously. If you have old shoes/boots, consider wearing those and leaving them behind to have even more luggage space on the return. 9. Limit T-Shirts you bring. There are so many great ones to buy in Hawaii. Some unique ones are locally made in the islands. 10. Snorkeling gear can stay home. 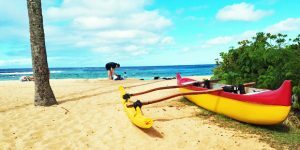 Why not rent, or purchase inexpensively in Hawaii. 11. Sunscreen. We suggest sticking with environmentally friendly sun screens that are both safe for your health and that of our coral reefs. 12. Luggage scale. If you’re still planning to check bags, travel with an inexpensive and lightweight luggage scale and know your carrier’s limitations. This remains a “can’t travel without” item at Beat of Hawaii and about the best $10 you can spend. 13. Ship: USPS Flat Rate Boxes. With an abundance of post offices throughout Hawaii, take advantage of fast and relatively inexpensive shipping in both directions to supplement what you can take with you. Including liquids that won’t make it in a carry-on environment. Easy to find bubble wrap keeps fragile things safe. 14. Carry: Duffel bag or tote for the return trip. Consider either bringing a collapsible nylon dufflebag or buying a Rubbermaid container to use for the return trip. After you go shopping, you may need it. Yes, you may pay for the checked bag, but it might be cheaper than shipping all that stuff home, even by Priority Mail. Agree with shopping Thrift, and donating what I don’t want to take back. Great Aloha shirts for souvenirs too. I always wear a pashima shawl on the plane. Works as a blanket, but scrunches thin when I arrive and it’s warm. Also rolls up quickly and gets shoved into the top of my carry-on if it’s really warm on the Hawaii side. Also I bring a sunhat that rolls or scrunches small. Also comfy earplugs for the trip. Sometimes kids get fussy on the plane when the pressure changes. Since I am just about finished packing – I still re read this article with interest. Sorry to hear of your luggage troubles. We (except for just a couple of times) always travel with just carry on. We have Rick Steves carry on backpacks – they are easily squeezed into spots other hard sided pieces cannot get into in the bins and we each have a Samsonite under seat totel That’s it. We manage 2-3 week trips with just carry ons. One tip that I thought I would share is how I decided to actually pack the bags this time. I saw the program about How to fold your clothes the Marie Kondo way. Well you would not believe how much more space this method creates in our luggage! The clothing may be a tad more wrinkled – but I usually spray them with warm water and shake and hang anyway. But it is so easy to see just what is in the bag! Wonder if anyone else has tried this folding method? Mahalo for all your hard work! Hopefully we will see you in Kauai later this year. Heading for Big Island this trip. Thanks for your comment. We haven’t heard of the Marie Kondo way, but will look that up. Happy travels to you both! If you have access to Netflix – her new series is a feature there. You can probably look on YouTube as well. Or good ole Google. An interesting take on organizing. And I am NOT the most organized person. But, baby steps. Yes, of course, after you mentioned it we started checking her out. Thanks for providing the tips in urs article. 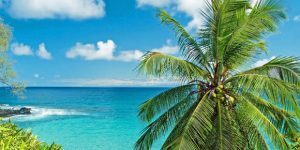 Our family is looking to travel to Hawaii in March and we will be sure considered your tips. I am traveling to Oahu December 25-Jan 1 from Atlanta. Air fare is very high right now. Any chance of it coming down. Probably little to no chance. Sorry. $1,100 to $1,300. Great post. Thanks for sharing your experience and providing these helpful tips to the readers. Your post is very useful to me for packing my essentials as I am going on my vacation trip to Hawaii next week with my friends. Keep sharing such posts. The first time I visited Hawaii I definitely over packed. dressing in layers isn’t as necessary in Hawaii or else going to higher elevations. Even then I definitely pack less and like in the article I ship back any souvenirs. Great article/helpful hints! Thanks so much! Your idea to buy a Rubbermaid container to check as baggage on your return trip is an excellent one I’ve never considered. Being a longtime Rubbermaid container user I’ve found that there is a cheaper version often available in stores branded “Sterlite” which I wouldn’t recommend. Is Rubbermaid available easily on the island big box stores, or would you suggest one be purchased online and shipped “hold for arrival” to the hotel. Readily available. In our experience the Sterilite ones are brittle and tend to crack easily. The Rubbermaid ones do not. That is not sale season – that is peak of high priced spring break season. Probably best to purchase now. Since it is just about time to start thinking about packing for our trip to Kauai I appreciated your timely reminders about packing light. One thing that I have found ‘invaluable’ and doesn’t weigh anything at all is a small plastic spray bottle. Our clothes can get a bit crunched and spraying them with warm water and giving them a good shake and hanging them to dry really helps. Sure beats ironing! I don’t know where I got this tip – but thought I would share it. We are still planning to take only carry ons for our 3 week trip :0) Yes, it can be done. Can’t wait!! Do email us so we can get together. Last summer we visited 4 islands, 17 nights, 2 adults & 2 kids and still managed with only a carry on and a back pack for each of us. We took powdered laundry detergent & dryer sheets in baggies to use. We also brought blow up floats for the kids, four of our own snorkels & masks plus one set of kids’ fins, a collapsible cooler, a stuff sack with a large beach blanket, 2 collapsible totes so we could take souvenirs home with us (surprisingly we didn’t have to use these island to island but only going home), and loads of snacks. Clothes were easy, just shorts & tees, swim stuff, plus one “luau” outfit. We limited shoes to one pair of closed toe and one pair of sandals/flip flops each and made sure to wear the heaviest & largest of the two shoes on the flights. We also all wore a long sleeve item over a tee on the flight which doubled as a light jacket. We had plenty of electronic devices plus cards and other games for the flights too. We saved a lot on luggage fees especially since we were flying on 4 different airlines using various points. It took some planning but I’d do the same thing again- no wait for luggage, no worry over suitcases making it, and no fees! Wow,My family of 6 doesn’t bring that much for a month long vacation. We are looking to go to Hawaii this fall or spring,our time frame is flexible. Are the prices from Portland,Oregon ever going to go below the now average of $450 per person this year? Thank you. We can’t say for sure and certainly the airlines hope it doesn’t go lower. On the other hand, there’s a ton of availability for winter/spring and thus some further reduction remains possible. Sorry to not have anything more definitive. just wondering which hotel to book in Honolulu for me and my family. A clean descent hotel with breakfast included ….any ideas please? With so many to choose from, we suggest you check out the Oahu Revaled guidebook online or in print. Highly recommended. We stayed last year at the Embassy Suites in Honolulu with our family. Everyone ate for free a fantastic breakfast buffet each morning. They also had free drinks and evening happy hour in same location as the breakfast area. They really did a nice job! Have a great trip. As an aussie travelling to hawaii for first time with my hubby and 4 teenagers i eas wanting to know what are the best ideas for meals? ( 3 of the teenagers are boys and eat there weight in food a day ) so i am kind of worried i will blow budget just feeding them!! Also we are staying at outrigger beach resort any good tips on shopping or activities for our 12 day stay? Yes staying at a hotel will certainly make cooking a challenge. And food out will be expensive – even fast food. We recommend (and ourselves use) the Oahu Revealed guidebook (in print and online). This should prove worth its weight in gold. have fun and leave the Lava where you see it (no take chance) this respects Pele..and don’t come close to the Honu (turtles) – that one! is Government Law! Hi,we are traveling from Nashville, TN to Maui the first week of September 2016. We have no choice (due to work) but to travel Saturday to Saturday. I’ve checked all the possible ways to go on all the airlines and American (for the entire trip) keeps coming up with the best price at $982. Do you anticipate this price getting any better? Thanks so much! Yes $983 it is. May or may not come down but suggest waiting in case it does. Availability not likely to be an issue. Hi! I have found your website so helpful. Thank you so much! A question please? Two of us are planning a trip to Hawaii in September, 2016. Is it too early to purchase tickets? We plan to fly from Oakland, CA to Maui, them to Honolulu and then back to Oakland. Total cost we found is $458.00 per person. How does that sound to you? I read your site all the time. It”s fun to read & keeps us always ready to go. Thanks so much. Thank you! That certainly isn’t a bad price. If you wait and watch with us however you will probably improve that by $60+ per person. Availability in September is never an issue. Thank you so much for the advice. We’ll hang with you and watch for a better deal. We love going to Hawaii, but we’d rather spend our money on the ground if we can, not on the air. Mahalo!! 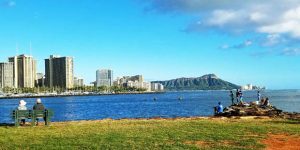 When would you suggest purchasing flights from the San Francisco area to Honolulu for travel in late December? Yes, we will be joining the throngs to be in the best place in the world to celebrate the Holidays! If I just submitted this questions, my apologies… computer issues…. Best guidance on holidays is to purchase now. 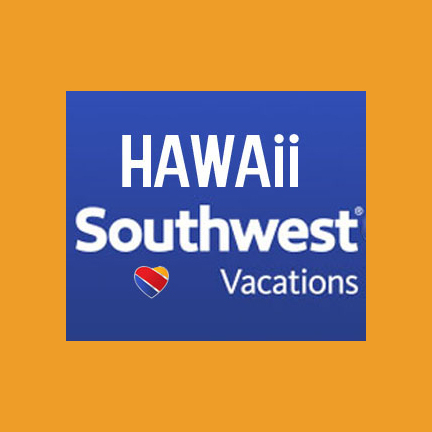 https://beatofhawaii.com/the-cheapest-time-to-fly-to-hawaii-is-coming-soon/. If you don’t already have accommodations, availability is a serious concern too. Another Aussie travelling to the beautiful Hawaii soon. Unfortunately Jetstar have changed their carry on luggage limits to 7kg…COMBINED! I have paid for 15kg checked in allowance to Hawaii (empty suitcases) and 40kg checked in allowance going home….a lot of room for shopping! I’m just taking the bare minimum and buying everything there. We’ve never had Jetstar check carry on weight. Let us know if they do when you board. Aloha and apologies for the late reply. Our carry on luggage was not weighed! But could depend on the day as to who is checking your bags and how strict they are. I absolutely LOVED Kauai. A week was not long enough to see everything. I can’t wait to return. And shop we did……..all suitcases were close to capacity, even with the exchange range, we were still better of.